Focused on those who want to sail in a semi-private, new luxury catamaran Sailboat. We offer the best party, animation, drinks and snorkeling. 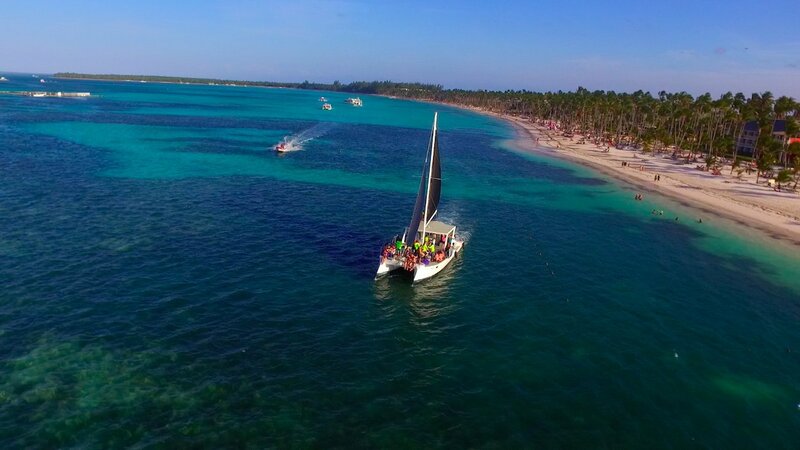 Enjoy our power adventure Punta Cana tour! A wonderful cruise across the coast of Bavaro with an incredible party boat trip at the natural pool. The best music, private barman, nachos with cheese and drinks. Power Cruise Punta Cana, includes pick-up/drop-off from any hotel or area of Bavaro/Punta Cana in modern buses with expert drivers, accompanied by a professional multilingual guide. Games and Animation in The Natural Pool. Enjoy and have fun with animation in the Natural Pool. WOW experience! Drinks on board and outboard. Fun for the all family and friends. These are amazing and fun emotions, party, swimming, and snorkeling. All fun here. Attention: the afternoon shift depends on the season. + Equipment for snorkeling, life jackets. + You don’t need to spend hours to study how to dive. Can go without any experience. Book your unique power adventure Punta Cana experience now! It was very cool and super fun! Animators entertained us with amusing dances and aerobics to modern hits. Well, on the whole, cheerful and loud music, soft drinks, the bright sun and the impressive underwater world of the Dominican Republic are the things that are really worth every paid dollar! The organization as well as transportation were good. It was a great time sailing on the boat. I saw clouds, beautiful colourful clouds as we sailed through the coast of Bavaro. My husband and his friends, spent time checking out the aqua life, while we enjoyed music and drinks. I will do awesome to share pictures of this place with my kids. 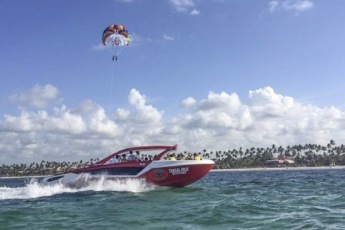 What types of activities does Power Adventure Punta Cana tour include? 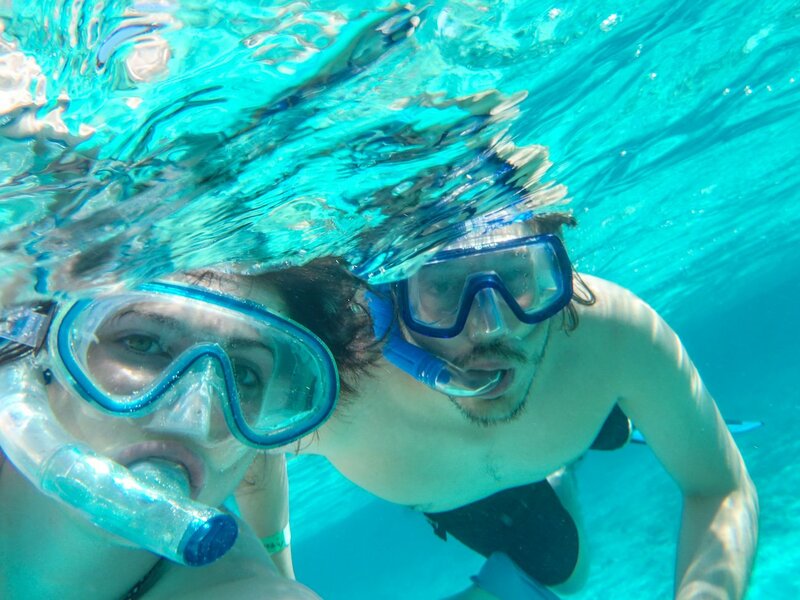 Our Punta Cana Sailing Cruise includes snorkeling, party, open bar, games and animation in a natural pool. Is snorkeling included in Power Adventure Punta Cana tour? Power Adventure Punta Cana tour is one of the Best Snorkeling Excursions in Punta Cana. It includes snorkeling, party, games and animation in a natural pool. Book and enjoy Power Adventures Punta Cana tour! Is Power Adventures Punta Cana excursion a private tour? Power Adventures Punta Cana excursion is a group tour. In case you need a private Punta Cana Sailing Cruise, please contact us directly. We provide personalized service in Punta Cana and will be glad to help you. 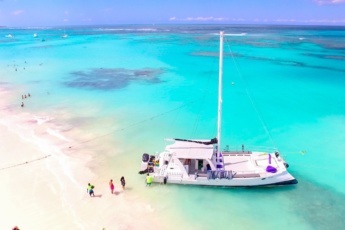 What should I bring to go on Punta Cana Sailing Adventure excursion? 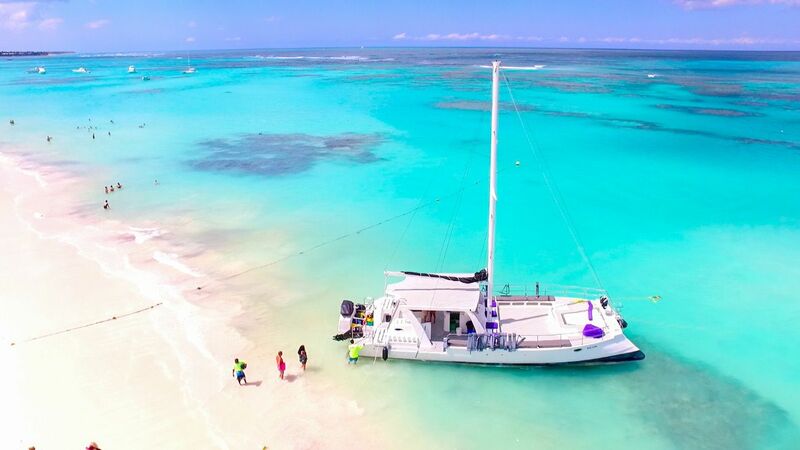 To go on Punta Cana Sailing Adventure excursion, we recommend you bring beach clothes, swimming suit, towel, sunscreen, some cash, sunglasses and good mood. Can I go on Power Adventure Punta Cana tour if I do not have experience in snorkeling? How long does this Power Adventures Punta Cana excursion last? This Power Adventures Punta Cana excursion lasts about 4 hours. 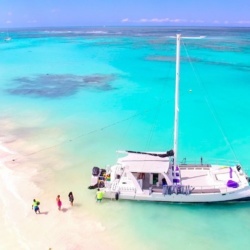 Our Punta Cana Sailing Cruise is one of Punta Cana Half Day Excursions. 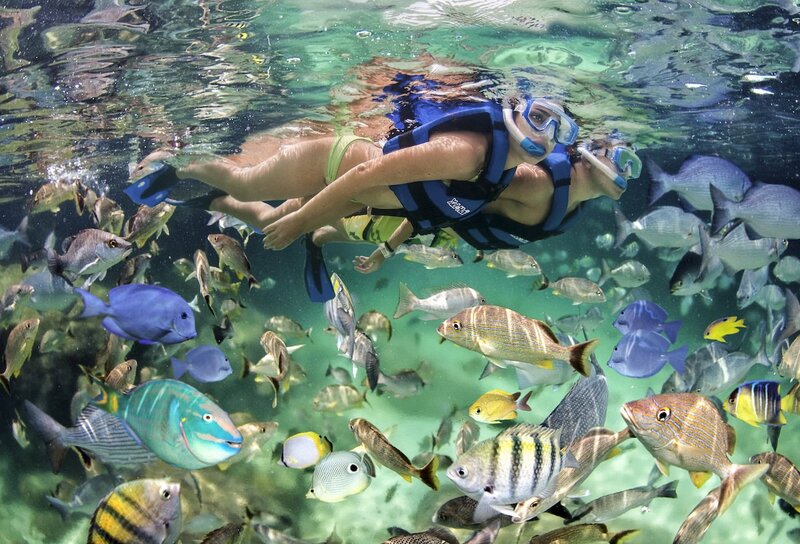 Are Punta Cana Snorkeling Excursions safe? Our Punta Cana Snorkeling Excursions are absolutely safe. Our trainers are professional, they always explain safety rules before you start. Finally, we have professional equipment for snorkeling, and certainly, life jackets.